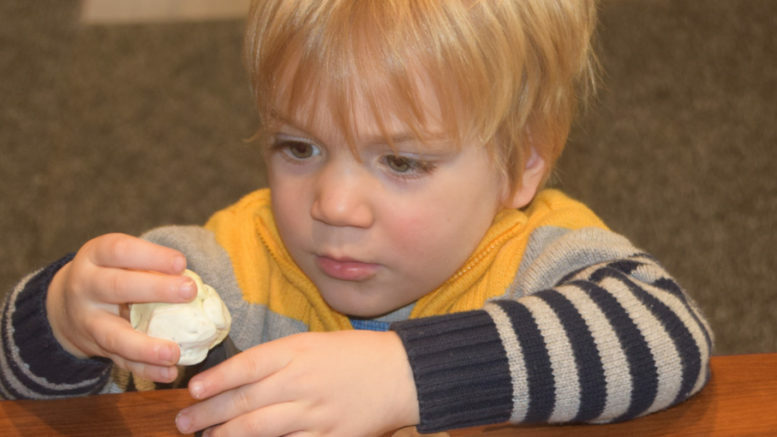 Hugo Pichette builds a dinosaur out of plasticine during the Lennox and Addington County Museum’s Night Before Christmas with Dinosaurs event on Saturday, which drew over 200 visitors to the museum. Photo by Adam Prudhomme. 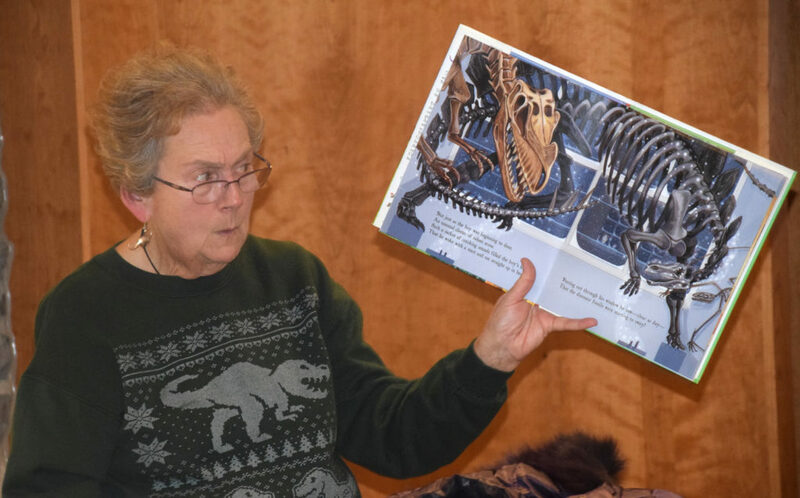 Betsy Cotton reads a book about dinosaurs to the audience. Photo by Adam Prudhomme.